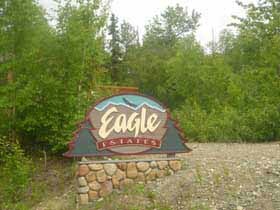 Eagle Estates is located in Palmer in the Matanuska-Susitna Borough. This 150-home community offers lakefront and single family homes along Walby Lake near local schools. Students attend Pioneer Peak Elementary, Colony Middle and Colony High schools in the Matanuska Susitna Borough School District. Homes range in price from $150K to $500K.